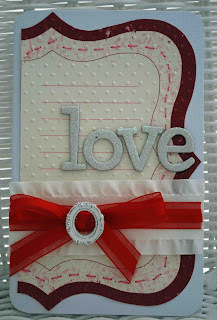 All of my products for this card (except the Melissa Frances Rub-On) I got in my February kit from Paper Playground. You need to check out their website and see what amazing products come in their February kit! The kits are so well coordinated and I just love them. I used Scenic Route paper, Melissa Frances Rub-On, and Martha Stewart Twine. I used Sassafras Lass and Colorbok Paper, Inkadinkadoo stamps and Martha Stewart Ink, Melissa Frances Rub-Ons, October Afternoon journaling block, and my Cuttlebug with the Swiss Dots folder. 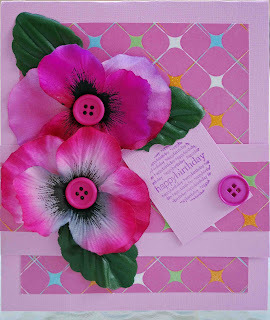 I enjoyed this card because it turned out nothing like I had pictured in my head and I still liked the finished product. I used Colorbok cardstock and Melissa Frances patterend paper, ribbon that I got from my January Paper Playground kit, Melissa Frances stickers-frame-and rub on's. I thought it was cute and wanted to share it. 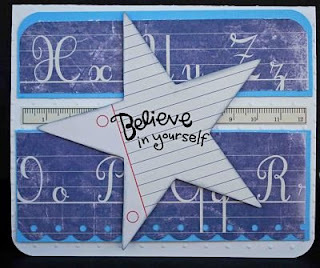 Here's another card I made using Melissa Frances paper and rub-on's, Jenni Bowlin journaling spot (star) and stickers. Hope you enjoy my cards! Been a busy "scrapping" bee today! I've honestly scrapped since I got up till I got ready for bed tonite. And I even did 2 layouts, "gasp"! Why all this crafty energy you ask, well because I got new scrappy goodies yesterday! 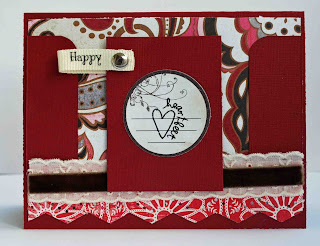 I received my new Emma's Paperie goodies and the February kit from Paper Playground. 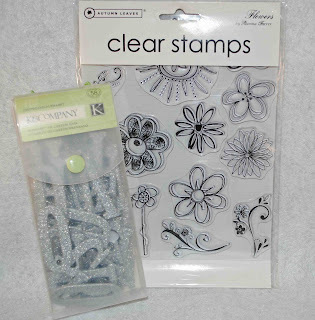 LOVE everything I got and hate to waste the papers and embellishments they are so pretty! I used Jenni Bowlen paper and embellishments, Melissa Frances rub-ons, American Crafts ribbon and Martha Stewart twine. Aren't they cute? I made Matt take this picture of them before I got them dirty! And don't pay any attention to my bad fashion of tucked in pants, but when you go to the the barns in the winter you learn to cover up as much as possible to stay clean! 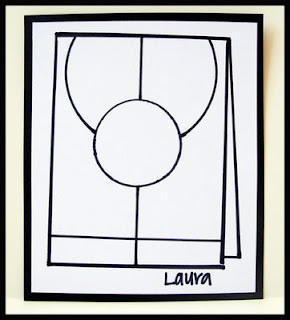 I decided to make a window card using acetate. I used Colorbok and Daisy D's paper. I cut a window out in my card, leaving only the edges. 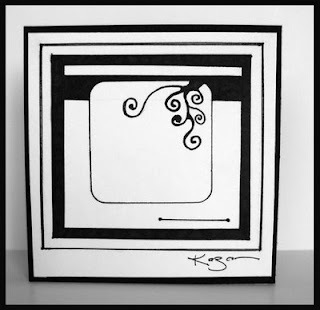 I then used the Cuttlebug and D'Vine Swirls to emboss the acetate. 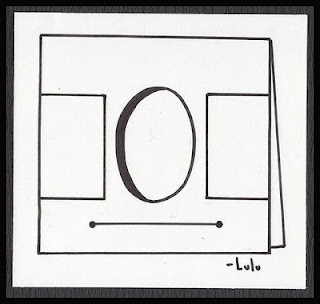 I repeated the steps for the back of the card, only I didn't emboss the back transparency. Then I used Stickles and traced all of my embossed swirls (did this on the inner side of the front transparency so it would show thru the window). I then cut my cardstock to place a sentiment in the middle of the window using pop up dots, the sentiment is Inkadinkadoo. I took a Heidi Swapp flower, American Crafts Ribbon, and a Melissa Frances frame to make my embellishment. Geez, you wouldn't think one little card could have so many steps! Don't forget to go to the Cuttlebug Challenge blog and check out all the Design Teams amazing work this week! Back to work already! And snow is in our forcast again, I'm so ready for Spring. I've got my Easter decoration ready to put out, but it's so cold it just doesn't seem right! I've got 2 cards to post tonite, unbelievable...right? The first is a birthday card I made for my Aunt T in January. 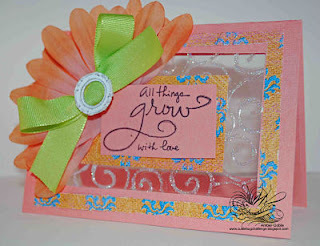 I used Colorbok and My Mind's Eye paper, Inkadinkadoo stamp, and DCWV chipboard, plus my Fiskars punch. This card was easy cheesy, because I wanted to keep it simple. My next card took some brain power, but I like the result. It is a tree (in case I did such a bad job you can't tell!) and I freehanded the trunk, then used my circle punch to cut out a bunch of circles. I ran a few of the circles thru my Cuttlebug, using the Swiss Dots folder. I then used a piece of transparency paper (acetate) and used my Nestabilities to cut out a scalloped circle that I also embossed with the Swiss Dots and layed that on top of the tree. I added some red buttons to look like fruit on top of the transparency to give it a 3D look. I also used a piece of K & Co. paper as my background and the stamp is Papertrey Ink. So I've put the brakes on my book addiction to post a card. 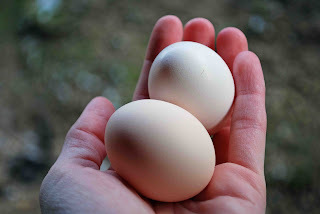 I absolutely love this one, but it's because I absolutely LOVE my little chickens. I bought some stamps from Whipper Snapper Designs and they are great, Anna Wight designed these and she loves chickens also...take a look at her blog, it's called Sweet and Sassy and the link is to your right. 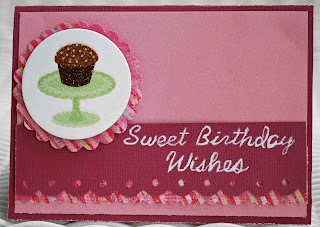 For this card I used K & Co. and Colorbok paper, my Whipper Snapper stamps, Martha Stewart ink, American Crafts ribbon, and my Fiskars scallop punch. 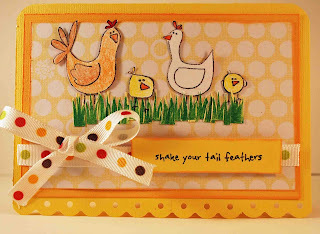 The only hard part about making this card was carefully cutting the little chickens out! I'm not a very good stamper, my finished product never looks good enough for me. So I prefer to stamp and cut my image out. 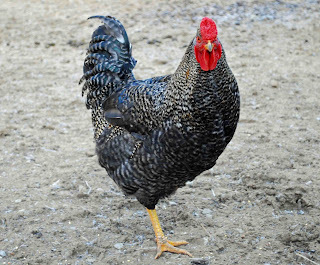 And of course since I posted a chicken card I had to post a few pictures of my chickens! I used my Cricut and the Hello Kitty Sentiments cartridge to cut out my cupcake. I cut layers to put on the cupcake to make it different colors. I used my Cuttlebug and the D'vine Swirls folder to emboss the bottom and Swiss Dots to do the white icing. The dots are inverted and filled with Stickles glitter. I also Stickled my cherry to make it glittery. 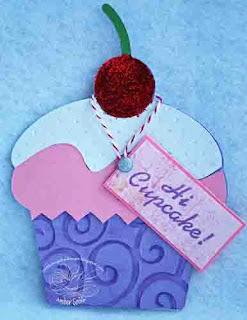 I then stamped the sentiment with a Papertrey Ink stamp and used a piece of Martha Stewart Twine to tie it around the cherry. Easy Cheesy! Today's my birthday!!! Yippee, presents and food, what more could a girl ask for? Seems like my birthdays last for weeks because first I have my anniversary in January, then birthday and Valentine's in February. Sometimes Matt tries to get tricky and combine them all, but I won't let him! So I wanted to share some pictures from my day. 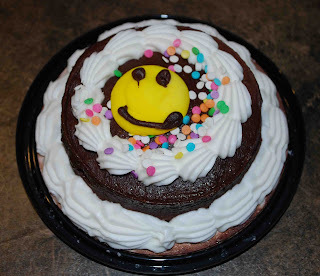 I didn't take a picture of my first cake, an ice cream cake from Matt's family. Here's my little baby cake Matt brought me this morning. 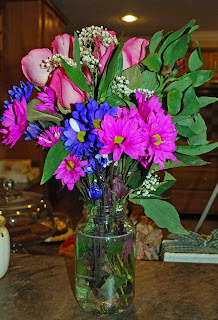 He also decided to go ahead and get me Valentine Flowers also. The roses are from him and the daisies are from my doggies (that's what he said:). 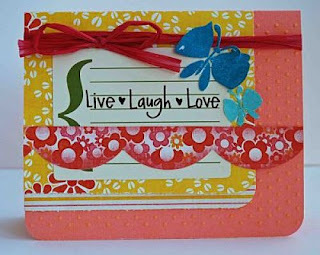 And look at this beautiful card I received from my Aunt T.
Click her name to check out her blog and see more of her beautiful creations! Now for the winner of my blog candy, I'm a day late! And the winner is BETH of Nana's Memories & More! Yahhhh for Beth, I'll be e-mailing you! 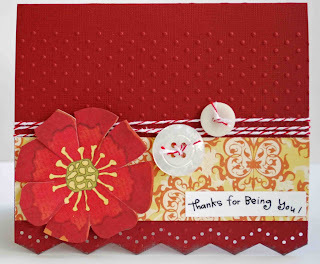 Check out her blog, she makes beautiful cards and projects! No card tonite, I've been up to my eyeballs in tax papers today, blah! Will have a card in the morning! 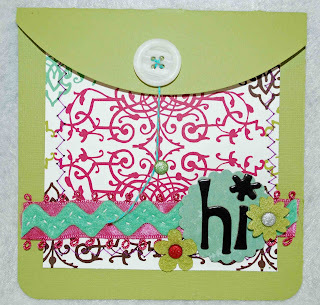 I used K & Co. paper and embellishments, Prima bling, and Papertrey Ink sentiment. I think it looks very Springy! Gotta cut this post short, almost time for work so I have to get ready! Hi everyone! 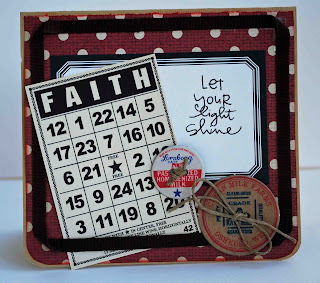 Hopefully you've stopped by the Cuttlebug Challenge Blog to check out my tutorial for Cuttlebug's Fab Friday. I do have one favor, look over my messy desk in the background of my pictures! I'm the messiest scrapper around! 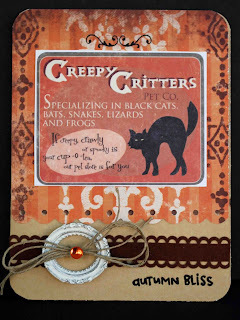 If you happened to stop by my blog first, then pay a visit to Cuttlebug Challenge's and then return here. 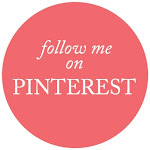 Now is your chance to win some blog candy from me! Isn't free stuff grand? Here's what you may win: Autumn Leaves Stickers, K & Co. Chipboard, and I have another little surprise to give to the winner. Thanks so much for visiting my little corner of the world! I love to read every one's comments, so fun! And I love visiting your blogs, there's so much talent out there! 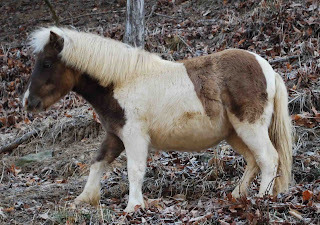 I wanted to leave you today with a picture of the cutest little horse in the world...my Smoky. We've had plenty of snow in Kentucky the last few days and Smoky just loves it...as you can tell from the picture. And I know he needs a haircut! That's on my "TO DO" list! I used white cardstock as my base. 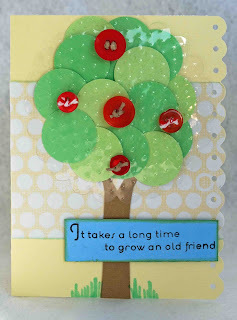 I then ran a piece of Making Memories paper thru my Cuttlebug using the Swiss Dots folder. I then stitched all around this little piece of paper. I used some ribbon I had from my Paper Playground kits and the little frame is Melissa Frances. The stickers are American Crafts Thickers. Be sure to check out all the awesome cards/projects the DT made at Cuttlebug Challenge.We have around 4-5 inches of snow here in Kentucky and could have a little more by the end of the day! 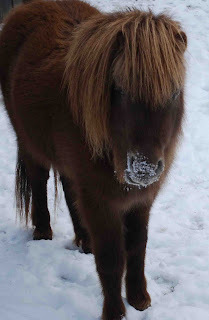 I'm off to check on my little barn animals and play in the snow! Enjoy!. Oh how I'm tired of that white stuff! I mean sure, the first couple of snows are pretty...but we got more unexpected snow yesterday, at least 2 inches with possibly 4-6 in. by Wednesday. I sure hope the weather man is wrong! Here's a couple of cards I wanted to share with you. They are from Paper Playground kits that I ordered last month...they are the May and July 2008 kits that they had left. Just love the papers! Have some blog awards Mom sent me. Aren't they cute? 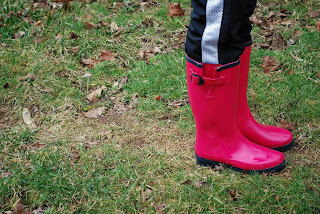 Now if you visit my blog I want you to award them to yourself:) That away no one is left out (smart thinking, right?). 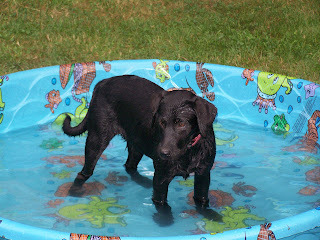 Here's another picture of her, so cute. 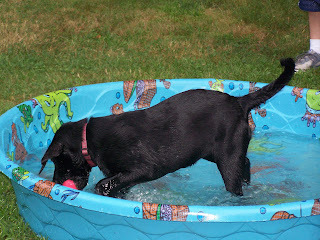 She's about 50 lbs heavier now! And good news, my Papaw's surgery went well. Keep Praying for a speedy recovery. "I love that card! What a fun way to express your love to your hubby. And manly men like pink, so he should be ok! 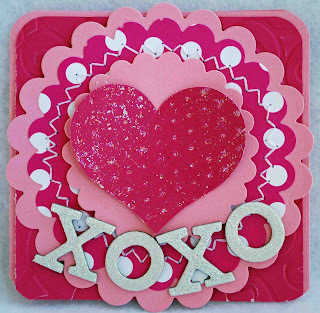 ;) The thing I love most about Valentine's Day is that everyone seems to be more gentler, kinder, etc on that day... I don't know if it's my wishful thinking or looking at the world through rosy glasses, but I think since it's a holiday people are more aware of the love they have in their hearts and lives so they are just nicer to those they come in contact with that day! Cheesy, I know, but I love it! The world needs more days like that!" Yah, so happy for you. E-mail me your addy and the treats will be in the mail. I really enjoyed reading everyones comments, they made me smile. And I really appreciate all the nice comments about my tutorial, I was sooo nervous! Glad it wasn't a disaster! Now for more news, this Wednesday at Cuttlebug Challenge the new challenge will be announced. 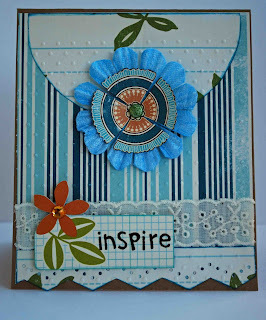 And on Friday I will be having another tutorial at CB and more blog candy (I must be in the giving spirit:) . Wanted to leave you with a little card tonite. 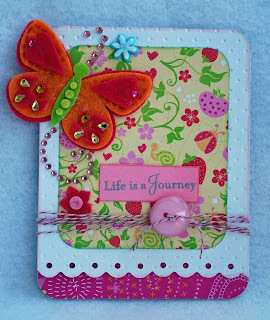 I used my Spellbinders Nestabilities and layered a bunch of different sizes, stitched around them, embossed the heart and stickled it. And I want to ask everyone who will to please Pray for my Papaw, he has surgery in the morning. We're just Praying everything goes well and God takes care of him. Thank you.